Although it has been said that most concept vehicles are never built, there is a very good chance that the Nissan Resonance Concept will go into production or at least a vehicle very close to it. The concept crossover SUV was unveiled at the 2013 North American International Auto Show in Detroit this January, an all-wheel-drive vehicle powered by a hybrid electric drivetrain. 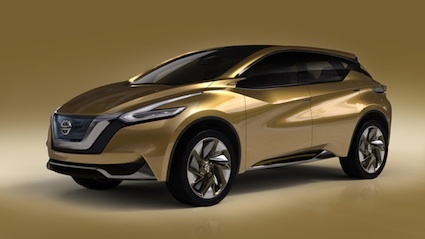 Some have suggested that the Nissan Resonance Concept is the next generation Nissan Murano. That is a possibility as the next Murano is ready for an update and it could be offered in gasoline and hybrid versions. Nissan, as bold as it has been with its LEAF production, might possibly forgo the gas engine altogether and produce a hybrid alone much as Ford has done with it C-MAX that is sold only in HEV and PHEV versions. The Resonance Concept attracted a large following at the 2013 NAIAS and won the esteemed 2013 EyesOn Design Award on Jan. 15 for the best concept vehicle. The award recognizes the innovative and forward-thinking work that automotive designers offer in both production and concept vehicles. The judges pointed to a number of positive features about the concept including its floating roof design, steeply raked A-pillars and the full-length glass panel that flows back to the D-pillars. In other words, Nissans concept resonated with the judges. Nissans senior vice president and chief creative officer, Shiro Nakamura, led the San Diego design team that crafted the Resonance Concept. The interior is based on what the designers thought that flying first class in a space craft might be like, its bright white interior and flowing cabin design advancing that thinking. Powering the Resonance Concept is a hybrid electric drivetrain that advances Nissans patented one motor, two clutch system. That design brings together a small gasoline engine and an electric motor that work with a lithium-ion battery pack to form an advanced energy management system. Orchestrating the changes that Nissan is undertaking is Nissan President and CEO Carlos Ghosn. At the NAIAS, media caught up with him to get an update about the companys direction and what future trends it will be positioned to advance. For this year, Ghosn predicts that sales will improve in China, held down in 2012 as China and Japan worked through a territorial dispute. The Russian market should present an enormous opportunity for growth as Nissan has invested in automaker avtoVAZ. India and Brazil, representing the other two BRIC countries, should perform well too. Always having an impact on the Nissan bottom line is a strong yen, with Ghosn expecting that its value against the dollar will offer little movement in 2013. Ghosn also expects that sales of its LEAF EV will rise this year, especially in the United States where sales increased by just one percent in 2012. The LEAF is now built in Tennessee and its price has been lowered by 18 percent. Ghosn also offered that the first self-driving cars will take to the road in 2020, about five years earlier than what some other experts have offered. Latest Opel powertrain is Euro 6 compliant. 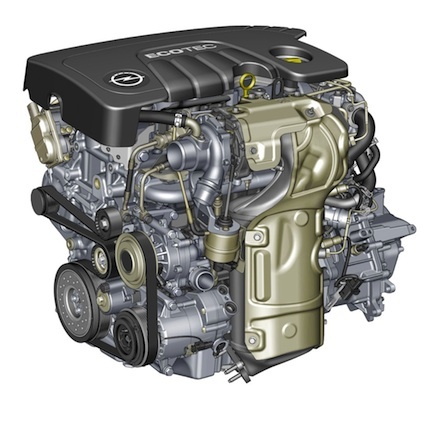 Opel develops yet another ECOTEC TDI engine. The General Motors Company has a jewel in Opel, a costly one at that. Still, its German operation continues to offer some of the best engineering across the company spectrum, fielding yet another new engine that we can only hope will eventually find its way to North America. As in a certain Chevrolet. Last week, Opel took the wraps off of a 1.6-liter direct injection turbo-diesel engine. The new ECOTEC engine will replace an existing 1.7-liter TDI and will also be outfitted in some cars currently offering a 2.0-liter diesel variant. Opel says that the new diesel offers as much as a 10 percent fuel savings over the current engine. Moreover, the diesel meets Euro 6 requirements for carbon monoxide, particulates, nitrogen oxides and combined emissions. Those standards apply to vehicles built from Sept. 2014 on and for new cars registered as of Jan. 2015. The aluminum block turbo-diesel features closed-loop combustion control, technology that has a direct impact on reducing noxious oxides. CLCC ensures a more efficient burn rate, using sensors to measure, control and regulate engine temperature for improved efficiencies. Commented Dr. Thomas Sedran, Deputy Chairman of the Opel Management Board, By the end of this year we will have launched three all-new generations of gasoline and diesel engines, as part of our roll-out of 23 new models and 13 new powertrains by 2016. Thats an astounding investment in power train technologies, which may explain why GM insists that it will keep Opel. Engineers from Italy and the United States joined with their German colleagues to develop the new engine in-house. Production is slated to begin this spring at a manufacturing plant in Szentgotthard, Hungary. In related news, Chevrolet will tap Opel for its 2.0-liter turbo-diesel engine, to be outfitted in select Cruze models this year. The 2014 Chevrolet Cruze Diesel is expected to roll out by summer 2013. By the time the next generation Chevy Cruze is introduced, it might gain Opel’s newest and more efficient diesel power plant.